Matcha is high in antioxidants, fibre and amino acids and is reputed to have calming, detoxifying and energy giving properties. 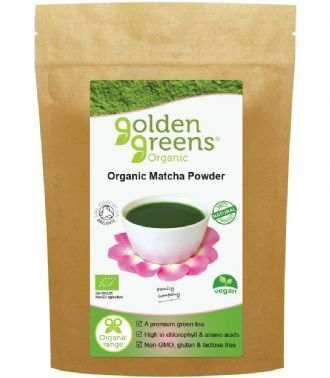 Organic Matcha Tea differs from normal Green Tea. The tea leaves are covered for two weeks before they are picked as this increases the chlorophyll within them. This makes the leaves a vibrant green colour. The leaves are dried and very slowly stone ground in to a fine powder.